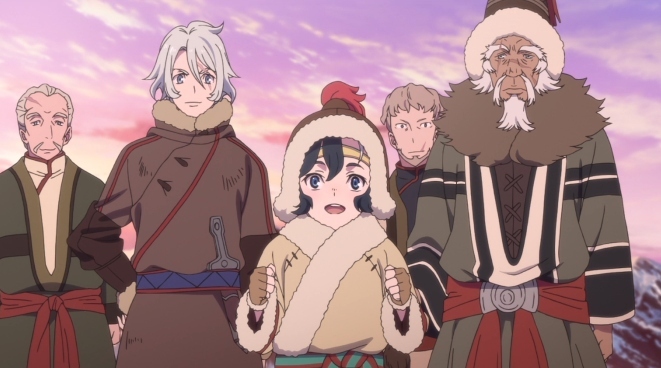 Sirius the Jaeger successfully revives the overdone vampire and werewolf genre with its novel plot and characters. I went into Sirius the Jaeger having no idea what it was about, and that’s a good thing—if I had known that its plot centers around vampires and werewolves, I wouldn’t have watched it in the first place. 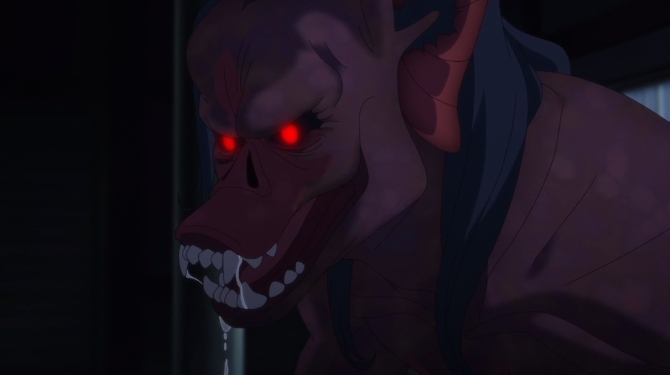 I might’ve been a Twilight fan in the past, but there’s only so much neck-biting and drooling man-dogs that I can take. Sirius the Jaeger pleasantly surprised me. 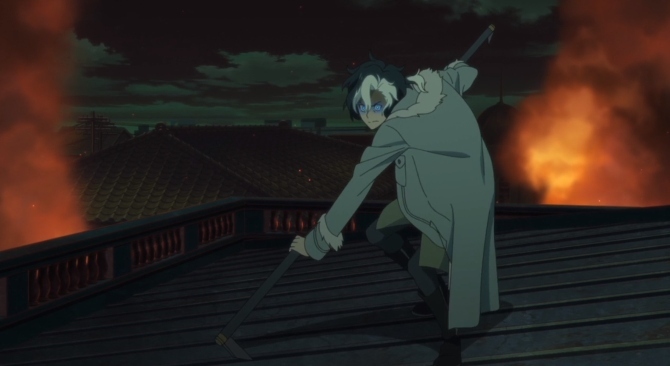 Instead of focusing on overused vampire and werewolf tropes, Sirius the Jaeger creates a brand new take on the story and appearance of these mythological creatures. Forget everything you know about vampires and werewolves—Sirius the Jaeger invites you to see a whole different perspective. 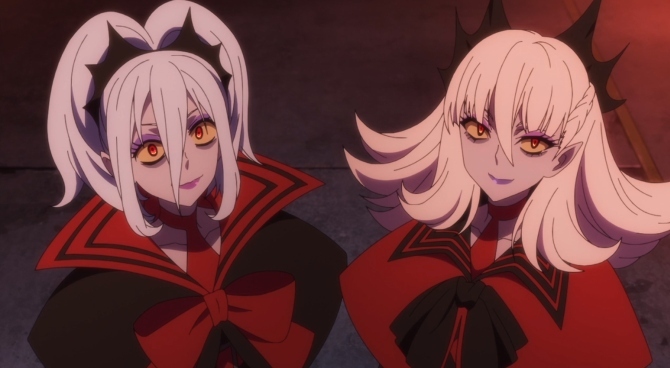 During the first episode of the anime, you’ll probably think that it’s just another typical vampire and werewolves show, but I encourage you to keep watching. A group of vampire hunters, known as Jaegers, present themselves under the guise of the V Shipping Company. The squad heads to Japan, where they find a serious vampire infestation. The vampires take the form of a typical human, but become monstrous beasts after transforming. Luckily, the Jaegers at V Shipping have a hidden weapon up their sleeves—one of their members is a Sirius. What’s so great about a Sirius? Well, a Sirius has the power to transform into a werewolf, sniff out blood, and can shred vampires to pieces. The other members just rely on combat skills and good aim, so having a Sirius on the team is a huge asset. Yuliy, the Sirius, is the only remaining member of his tribe. As a young boy, vampires invaded Yuliy’s mountainous, snow-covered village known as Dogville. The vampires destroyed the town and killed every single Sirius, except Yuliy, who barely managed to escape. 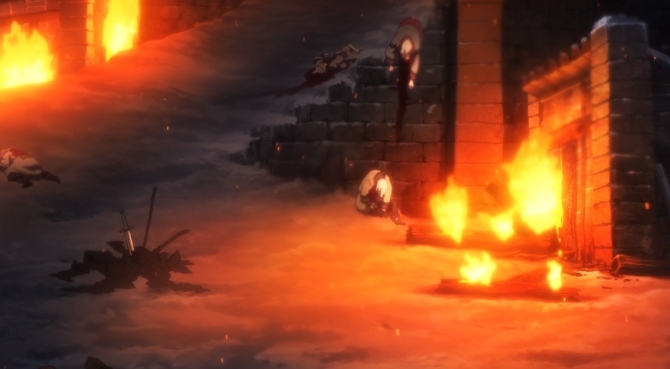 While Yuliy’s older brother Mikhail fended off vampires, Yuliy fled the burning village. Willard, a former archaeologist, found Yuliy and raised him. Willard later formed the V Shipping Company, recruiting Yuliy and three other members. We soon find out that there’s more to the story than just Jaegers, werewolves and vampires. The Ark of Sirius makes the plot even thicker and gives it that fresh perspective that I’ve been raving about. The Ark of Sirius grants its owner godlike powers, which the vampires hope to possess. The Ark once laid hidden in Dogville, under the watchful eye of the royal family. By the time the vampires raided the village, Yuliy’s father had already sealed the Ark in a hidden location. Yuliy and the Jaegers race the vampires to uncover the Ark before the vampires reach it. Between the action-packed fight scenes and intriguing storyline, I instantly got hooked to Sirius the Jaeger. I only have a couple of complaints about this show. First off, I was kind of disappointed with the supporting characters. The three other members of the V Shipping Company don’t have a significant role in the show and are just pretty flat characters to begin with. I honestly had to look up their names because I barely remember hearing them mentioned during the show. 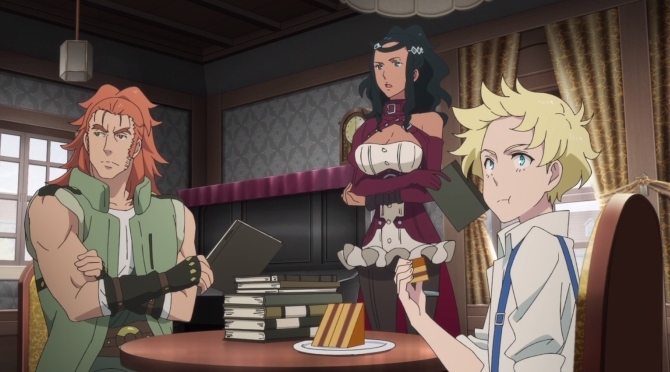 Dorothea, Fallon, and Philip have a very minimal backstory and don’t possess any unique abilities other than wielding weapons and shooting guns. Philip sort of has an interesting history, but it’s barely expanded upon. Werewolves killed his parents as a young boy, so he has a small chip on his shoulder towards the Sirius. Although you can see the tension between Yuliy and Philip, it’s not really explored. These characters have the potential to be really interesting, but it seems like the creators didn’t have the time to add any details. I also wanted to see more out of Yuliy’s werewolf transformation. When Yuliy transformed, I expected to see fur to erupt out of his skin and his muscles to suddenly burst through his clothes. Unfortunately, I got none of that. Instead of Yuliy turning into a furry beast, his eyes just turn bright blue. He also glows a little. I’m sorry, but does that transformation scream “werewolf” to you? To me, it just screams “psychotic.” I think we can all agree that the vampires in this series look way cooler compared to the werewolves. 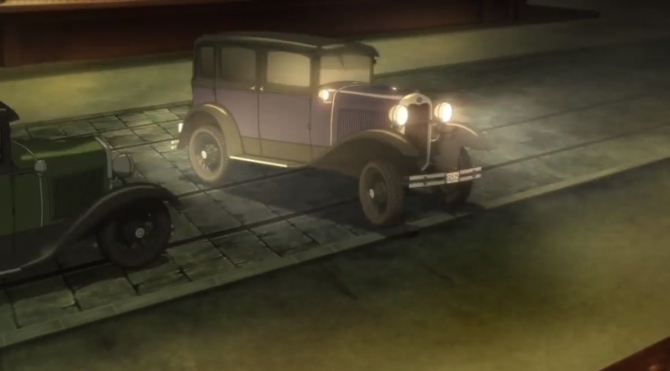 Sirius the Jaeger takes place in the 1930s, and has a distinct steampunk style. Classic cars, old-school trains, and the overall look of 1930s Tokyo give Sirius the Jaeger amazing visual appeal. I’d also like to note the characters’ outfits. These too have a certain steampunk flair that’s not in your typical vampire and werewolf show. 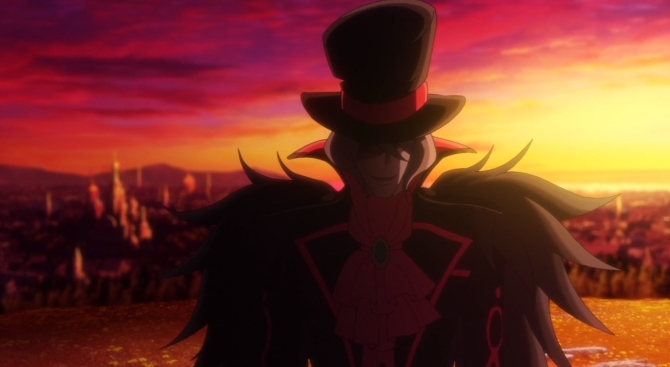 The highest ranked vampires, like Yevgraf, wear elaborate outfits reminiscent of a circus. Yevgraf isn’t the only one with this playful fashion sense. Twin vampires Tamara and Larissa don the same type of flamboyant circus costumes. Don’t let their innocent appearance fool you into ignoring their bloodthirsty tendencies. The intriguing plot and stylish vampires outweigh any of the negatives in Sirius the Jaeger. Tune into this show the next time you turn on since it’s pretty rare to find an anime Netflix original that’s actually enjoyable.